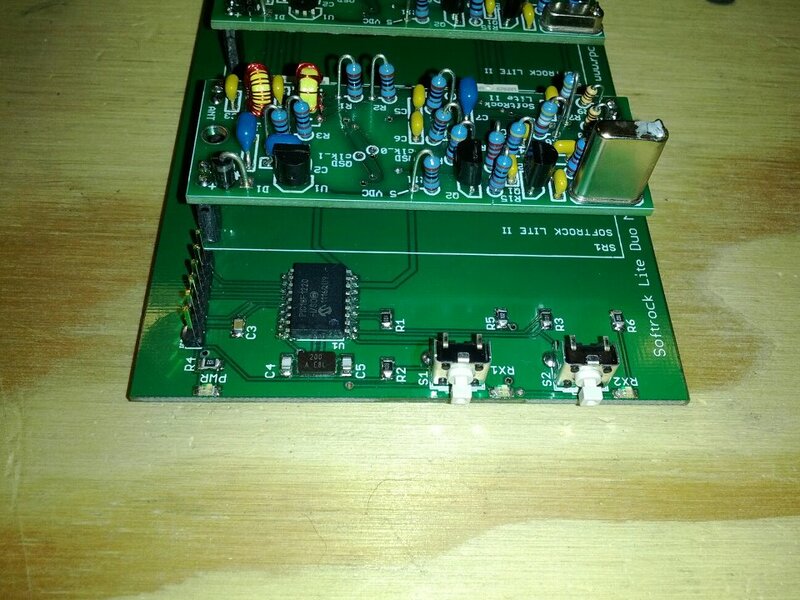 The SoftRock Duo is a "motherboard" that can have up to two SoftRock Lite receivers plugged into it, allowing for push button selection between the two modules. 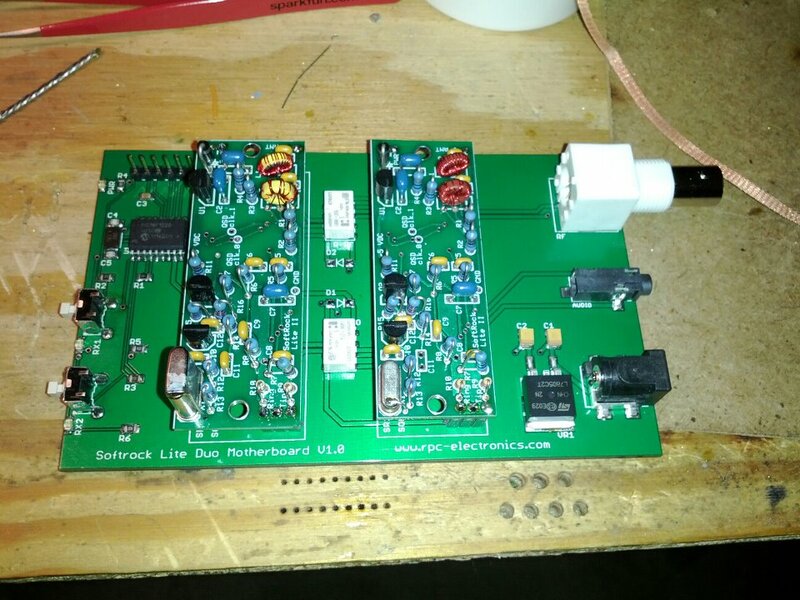 A single RF connection, single audio connection and relays are used to connect to the selected module. Front panel LEDs indicate power to the board and which module is selected. This comes as a partial-build kit. All SMT parts have been pre-installed. The end user installs all of the through-hole parts. 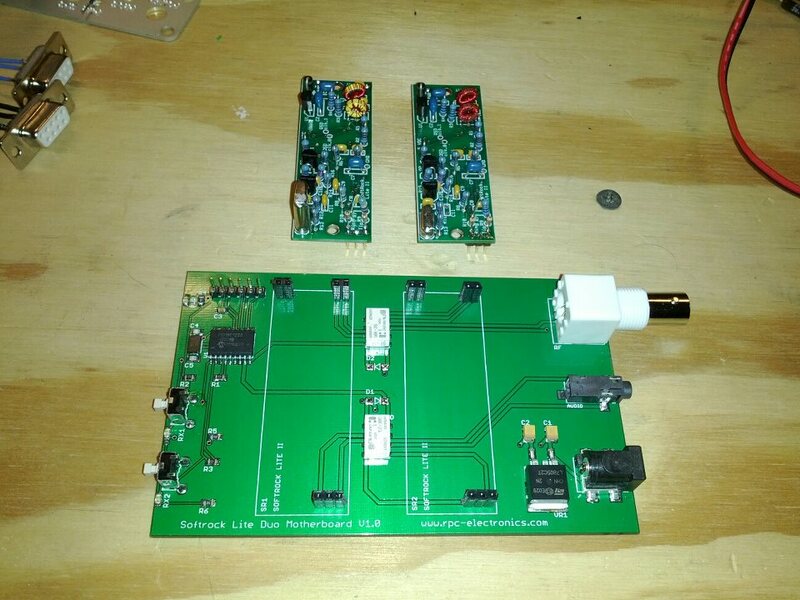 SoftRock Lite SDR KITS/MODULES ARE NOT INCLUDED! The PCB is sized to fit Hammond case part #1455K1201BK. We do not offer the case pre-milled, but we will make a drilling template available.